Axamitova Ivett represents one of the most significant ceramic artists at Slovakia. She comes from Ivanka pri Dunaji near Bratislava. 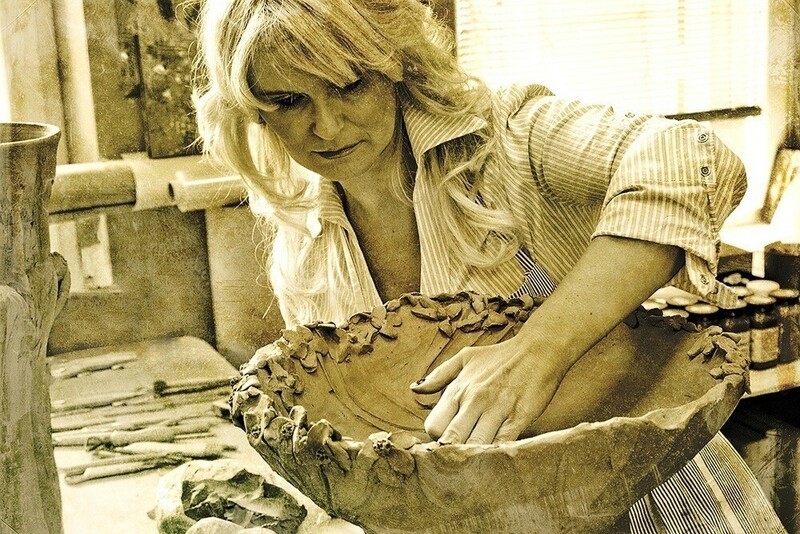 She studied at the School of Ceramics in Modra, where she gained knowledge of the craft. After graduating she continued her studies at The School of Applied Arts in Bratislava in the field of ceramics and privately graduated with artist Ivan Vychlopen. She started to produce art professionally since 1990, when she created the first comprehensive work and began to exhibit at Slovakia and abroad. In 2013 she was awarded title “The Slovak Woman of the Year” in the category of art. She is an outstanding representative of Sacred Arts. She created monumental works for the Church of St. Gorazd in Vrbove. Reliefs adorn churches in Nimnica and Topoľčany. She artistically decorated chapel of a retirement home in Jabloňové. Her work is associated with a metaphysical theme of truth, goodness and beauty.